Below you will find list of Top Play Schools in Jamshedpur 2019. Shemrock Feathers is a preschool in Raipur, Chattisgarh and is a branch of Shemrock Chain of Preschools. Techno Kids is a day care and preprimary school offering education to kids between the age group of 1. Star Kids Centre is one of the best kid schools as it provides modern and responsive education system. Roots To Wings is a day care and preprimary school offering education to kids between the age group of 1. Shemrock Feathers is a preschool in Jamshedpur and is a branch of Shemrock Chain of Preschools. Little Stars Play School is a daycare and preprimary school offering education to the kids from the age group of 1. Lilliputs Nursery School is a preschool that offers playgroup, half day and full day sessions. Kids World School is one of the best playschool that envision, nurture, develop, and enable today's children as tomorrow's leaders. Kids Kingdom was started with a vision to develop each child to his or her fullest potential socially, emotionally, physically and intellectually. 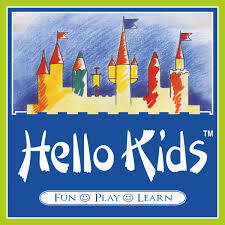 Hello Kids, managed by Hello Kids Education India Pvt.